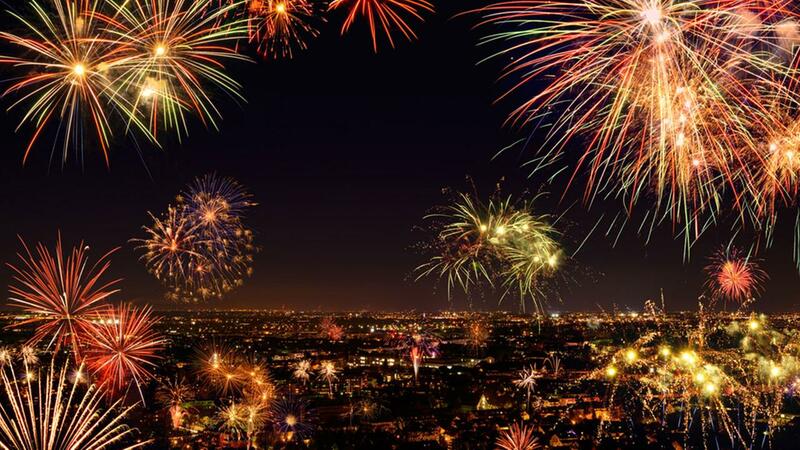 Bringing in the New Year is something everyone across the globe looks forward to. Thankfully, that moment is just around the corner. Rather than celebrating it the same old way amidst music and fireworks, why not do something different? Why not visit a place that does it differently? Interested? We’ve put together a list of places across the globe that bring in the New Year, but with a twist. Here’s a list of unique places to celebrate the New Year. Paris has always been the most romantic destination in the world. Needless to say, a New Year’s Eve here has to be equally romantic. Do this by taking your loved one on a romantic cruise down the River Seine as you sip Champagne. The cruise gives you a beautiful view of the magnificently lit city and takes you past The Louvre Museum, Eiffel Tower, Orsay Museum, Cathedral of Notre Dame and the Concierge. If a romantic celebration is what you’re looking for, it can get no better than this. 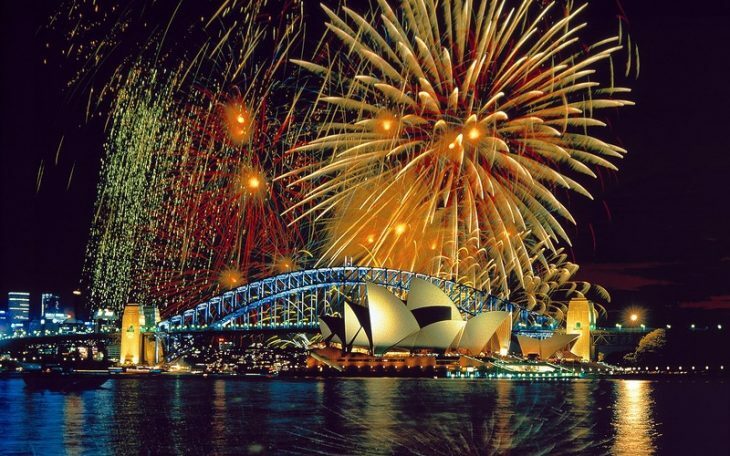 Sydney is the first major city in the world and one of the best places to celebrate the New Year. You’ll find countless parties across the city and a fireworks display throughout the night and it is sure to take your breath away. The places to be when the clock strikes midnight are the Sydney Bridge, the Sydney Opera House, and the Sydney Harbour. Being one of the first people in the world to bring in the New Year will definitely be an unforgettable experience. Make sure to plan in advance so you can grab your hotel booking and flight tickets for a discount. 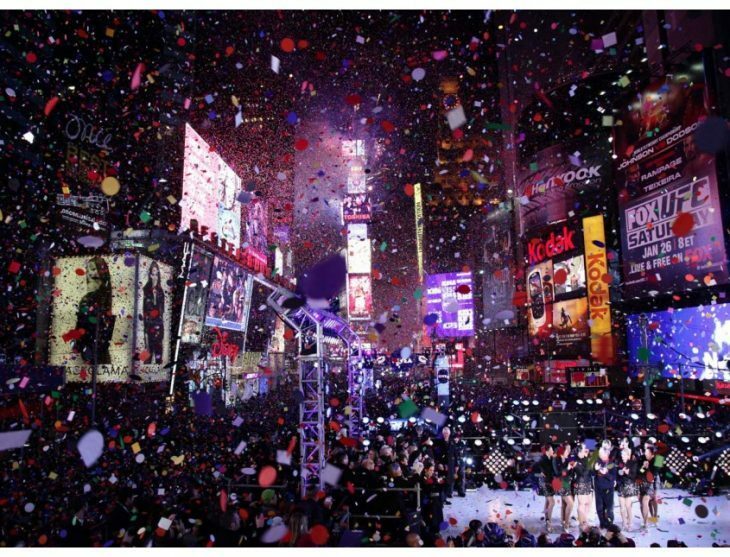 The ball drop at midnight at Times Square in New York City is the city’s most revered traditions and has been conducted since 1907. Every year, a minute before midnight, thousands of New Yorkers gather at Times Square to witness the giant ball be lowered into Times Square at midnight. The moment the clock strikes fireworks and confetti fill the air as thousands of revelers wish each other a Happy New Year. The experience and energy at the square itself is enough to leave you mesmerized for years to come. Unlike the rest of the world, the Scottish have an extended New Year’s celebration that lasts a good three days. Starting off on 30th December, people participate in a candle-light procession which is followed by a brilliant fireworks display over the Edinburg Castle. New Year’s Eve is all about massive street parties, concerts, and Kelidhs. Thousands of revelers head to the streets and sing “Auld Lang Syne” amidst a fireworks display. On the third and final day of the celebrations, the Scottish conduct dog sledging competitions and some brave ones take a dive into the cold freezing waters of the River Forth. 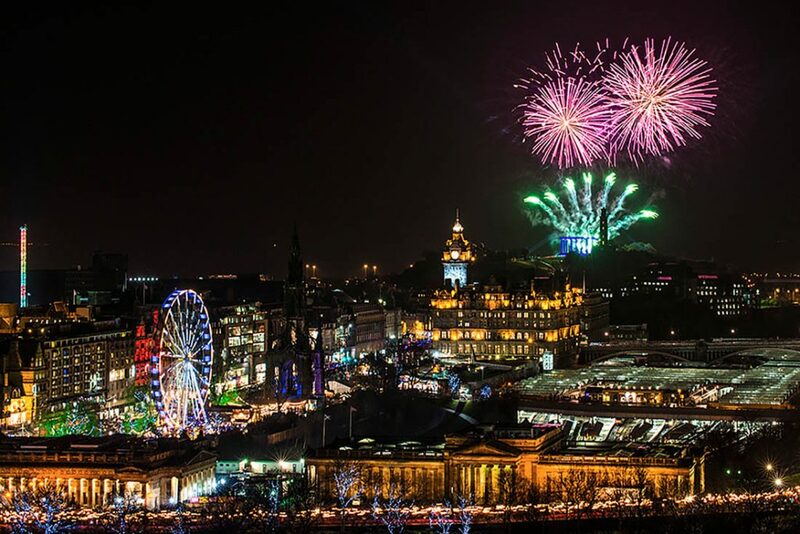 The three-day celebrations definitely makes Edinburgh one of the most interesting places to visit in Europe to bring in the New Year. Barcelona is known across the globe as the ultimate party destination in Europe. This makes it one of the best places across the world to rein in the New Year. Plaza Catalunya, Las Ramblas and Plaza Reial are converted into massive party destinations with partiers chanting the midnight countdown together. 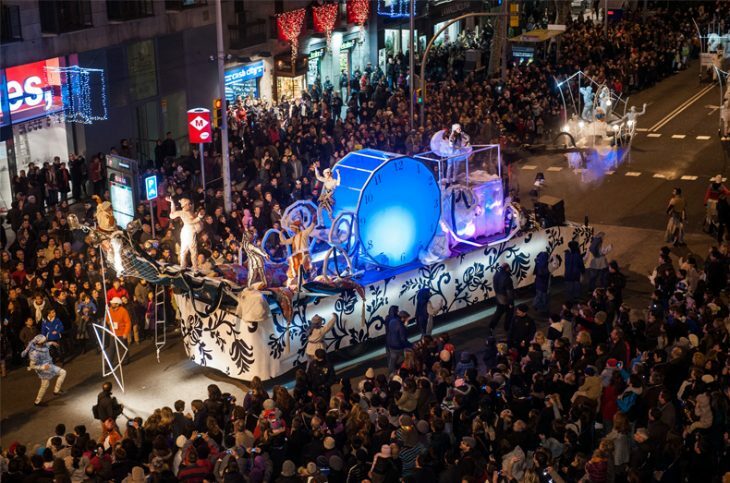 Soon after the grand parties, stay back in the city to witness the extravagant and vibrant 3 Kings Parade. 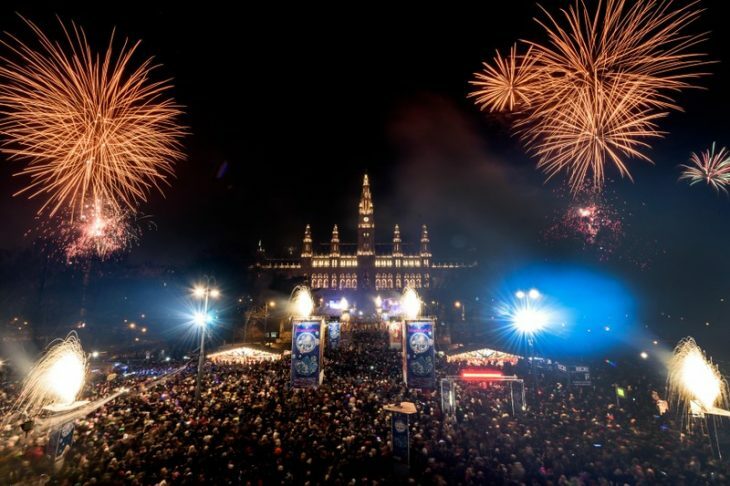 For the best New Year’s Party experience, head to Barcelona. The New Year celebrations in Iceland aren’t as low-key as you expect them to be, but they sure are different. The unique factor is added to the celebrations through the beautiful northern lights that make an appearance every now and then. If you happen to be in Iceland around the time the clock strikes 12 and the skies above are filled with the northern lights rather than fire crackers, it’ll surely make for a very special celebration. Vienna is one of the few places to visit in Europe where you can celebrate New Year’s Eve in the most traditional way. Right from black tie ballroom events, to classical music concerts, to symphonies, Vienna has it all. But that’s not all that makes the city’s celebrations unique. Revelers begin the party as early as 2 p.m. in the afternoon and continue celebrating well past midnight. The highlights of the party are wine, toffee apples, and fireworks. Stay back for the first day of the year and join the locals to watch the New Year’s concert on the giant TV screen in front of City Hall. Of all the unique places to celebrate the New Year, have you come across the one you want to be a part of? Let us know in the comments and spread the word among your friends who love to have a good time. We’ve put together few places across the globe that bring in the New Year with a twist. Here’s a list of places to celebrate the New Year.